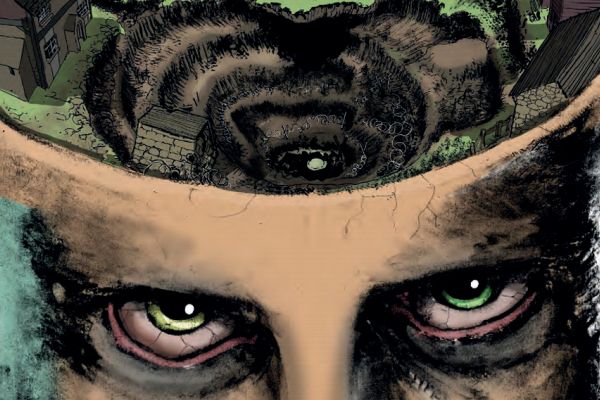 Mad Robot Comics’ post-World War 1 horror venture Frank At Home On The Farm is in its final days of crowdfunding on Kickstarter. We’ve previously chatted with writer Jordan Thomas and artist Clark Bint about the comic’s inventive visual layout and the dangers of trusting farmyard animals. In our final interview, we caught up with the comic’s editor and Mad Robot Comics head honcho Matt Hardy to find out more about bringing Frank At Home On The Farm to life. 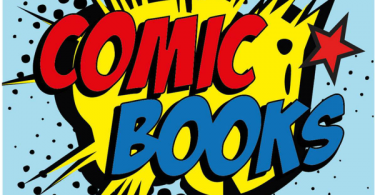 A Place To Hang Your Cape: How did Frank At Home On The Farm find its way to Mad Robot Comics? Matt Hardy: Help! Jordan has me held at gunpoint so I publish his book. This is my only way of signalling for help. Send the police, the army – anyone!!! 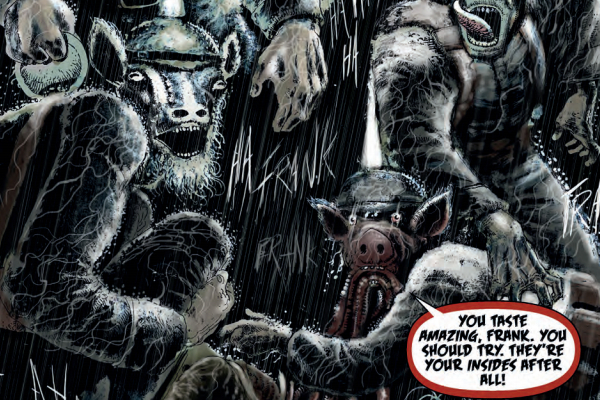 AP2HYC: Does Frank At Home On The Farm step into uncharted territory for Mad Robot Comics? Hardy: Frank At Home On The Farm hits a lot of the traditional themes our book are known for. Dark humour, dark horror, the underlying feeling that something is very wrong – and waiting to be revelled. But from an isolationist viewpoint, a historical context – and maybe a deeper dive psychologically than we have attempted before (I’m being told to say the line about being held at gunpoint was a joke and I’m actually fine and not tied to a chair in a windowless basement at all). AP2HYC: How has the editing process been for you on this comic? AP2HYC: What’s it been like working with Jordan and Clark? Hardy: Well I’ve worked with both of them before – Jordan on the Cadavers anthology and Clark on Murder Most Mundane. Jordan and I have very different approaches to storytelling – I’m a big fan of letting the plot dictate the direction the story and characters go in – Jordan comes at a story from the characters motivations defining the course of the plot – I think that fusion of ideas creates a greater whole. Clark is just an art God and we are both thrilled to have him on the book. Nothing is too great an ask and each page he hands in takes our breath away. He puts so much thought and passion into his work – his talent seems to have no ceiling and sometimes I just feel he will keep refining his skills until he creates the perfect comic page. AP2HYC: What does this comic accomplish that no other Mad Robot title has? You can check out Frank At Home On The Farm on Kickstarter, and discover more about Mad Robot Comics online. Have you already backed the comic? Let us know in the comments section below or send us a Tweet! 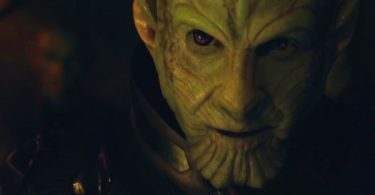 Lessons in Empathy: Does Captain Marvel Establish a New Era for Villains in the MCU? Will Avengers: Endgame be Just as Good as Infinity War? Support these super Kickstarters today! A Place To Hang Your Cape by David Molofsky is licensed under a Creative Commons Attribution-NonCommercial 3.0 Unported License.